VapeSling® is committed to earning your trust as a Quality Manufacturer. We stand by our concept, products and our promise of premium quality, functionality, as well as customer satisfaction. As a VapeSling® customer, you are assured top quality and integrity for your Vaping Device to be held securely. For additional assurance, we provide our VapeSling® Lifetime Guarantee. Your VapeSling (V2 or V3) is guaranteed to never break for “LIFE”. When you purchase your VapeSling®, rest assured that it will never break while being properly used. Please view the post Proper Install of your VapeSling® to assure you are installing your Sling correctly. VapeSling® Lifetime Guarantee: If a break occurs, your VapeSling V2 or V3 is guaranteed for LIFE and will be replaced for free. Please enclose “proof of purchase” (receipt from vape shop or website) in your return package. This Guarantee is not for wear and tear, rather functionality breakage. 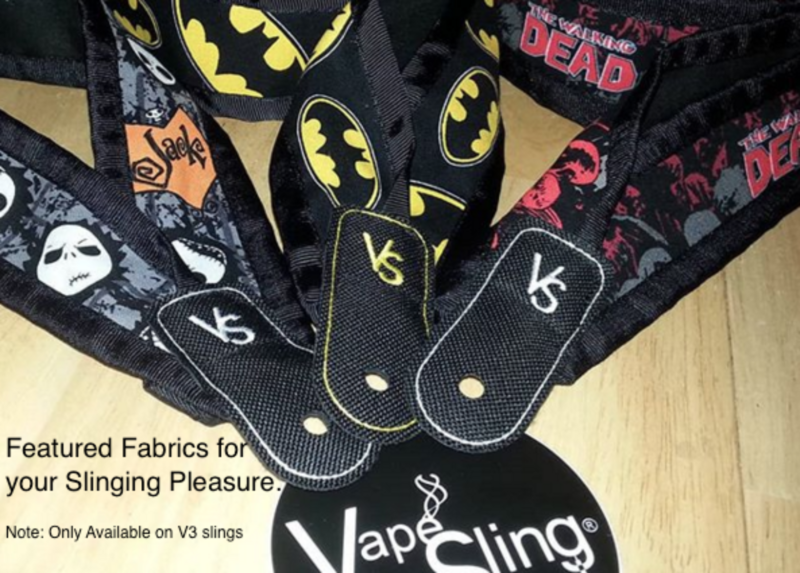 When you buy a VapeSling, you are also joining a “Vape on the Go” family/group of vapers called VapeSlingers. Whether you have a slight interest or a VapeSlinger, we invite you to subscribe to our Website and receive our occasional discount coupon emails and new product info. Plus, be informed in our vaping community and possibly share your views on vaping advocacy.